Jaguar E-type owners and custodians of pre-1970 Lamborghinis, Aston Martins, and Minis are being offered an invite to commemorate the 50th anniversary of cult 1969 masterpiece The Italian Job. 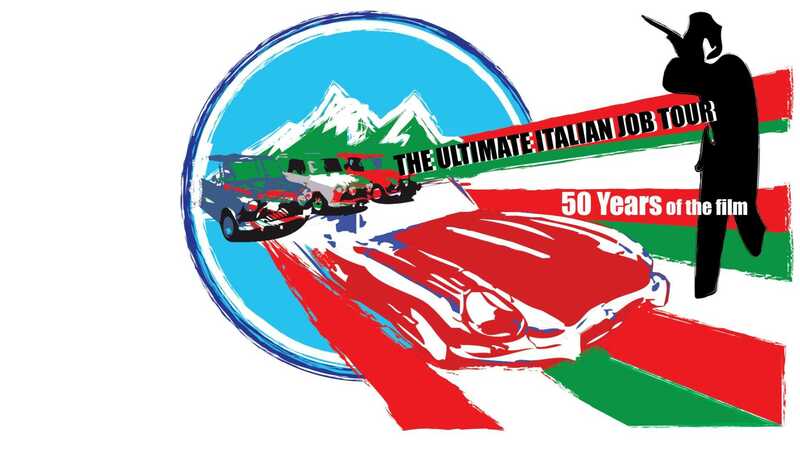 The Ultimate Italian Job Tour, created by Classics on the Road and the Jaguar E-type Club, will treat drivers and their companions to the definitive Michael Caine experience, passing through France, Italy and Switzerland between October 6th and 17th 2019. You can view the full schedule and book a place here. The 11-day, 1400 mile roadtrip will take in the film’s original roads and locations – including a rare opportunity to drive the Lingotto rooftop test track. 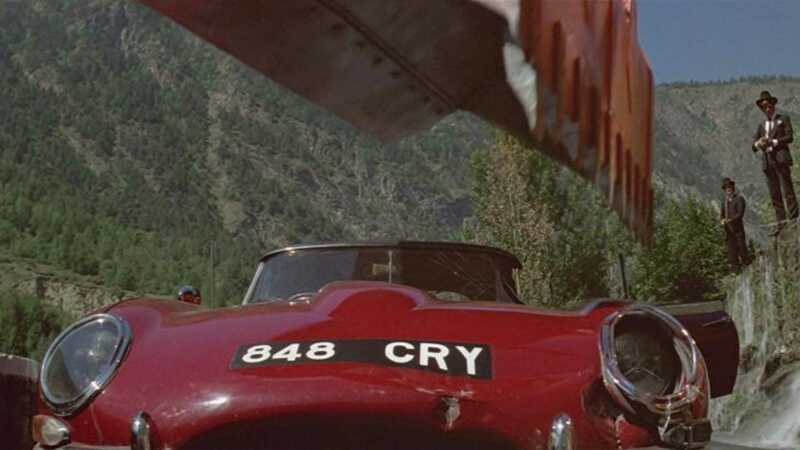 Not only that, but the convoy will be joined by a selection of surviving vehicles from the movie’s production – including red E-type 848 CRY. Besides screeching around Fiat’s former Lingotto factory in Turin, perhaps avoiding the legendary jump between rooftops, the tour will also offer an evening in Turin with key personalities involved in making the film. 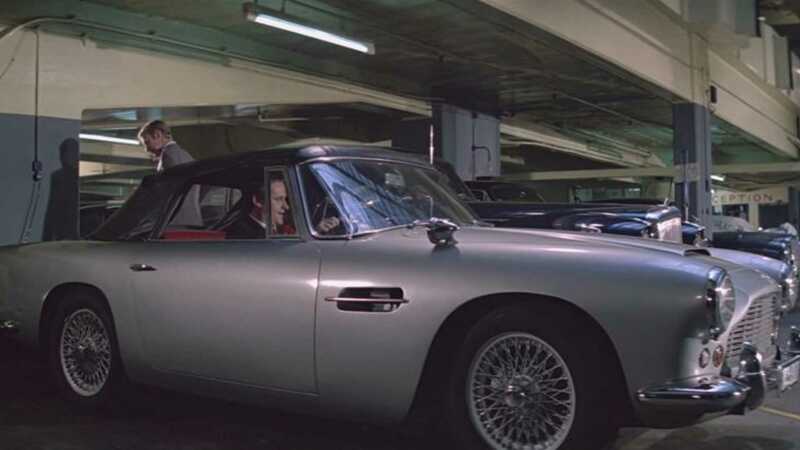 Participants in the Ultimate Italian Job Tour will be accompanied throughout the 1400-mile drive by a swarm of red, white and blue Minis, and by the red Jaguar E-type roadster, orange Lamborghini Miura P400, and silver Aston Martin DB4 convertible seen in the movie. 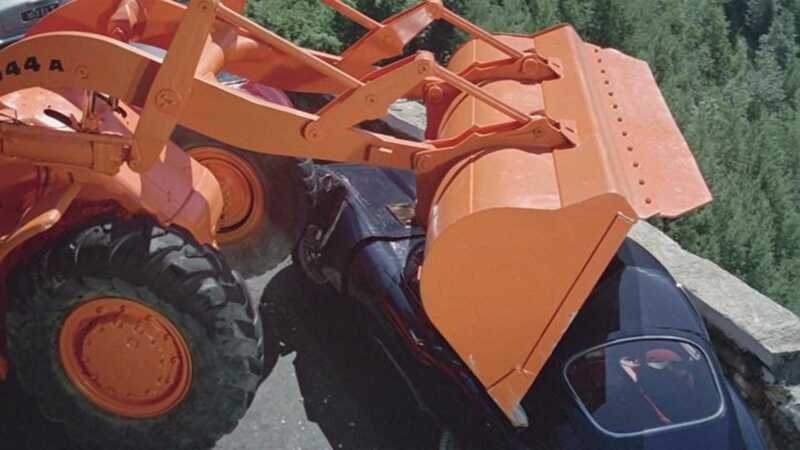 All vehicles will traverse the St. Bernard Pass, the road seen throughout the opening credits (watch for tunnels) where the doomed Miura meets its fate. 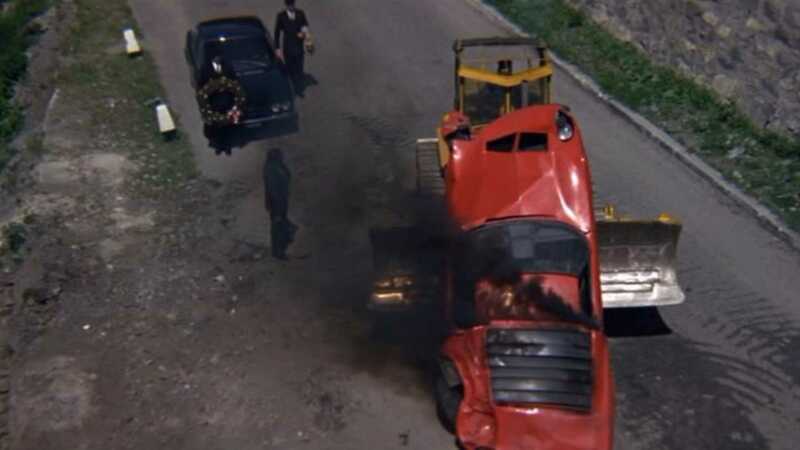 This is also the thoroughfare where Caine’s DB4 is dumped over a ravine and three E-types are crushed by the Mafia’s bulldozer. Hopefully, this won’t cost your insurance bonus. 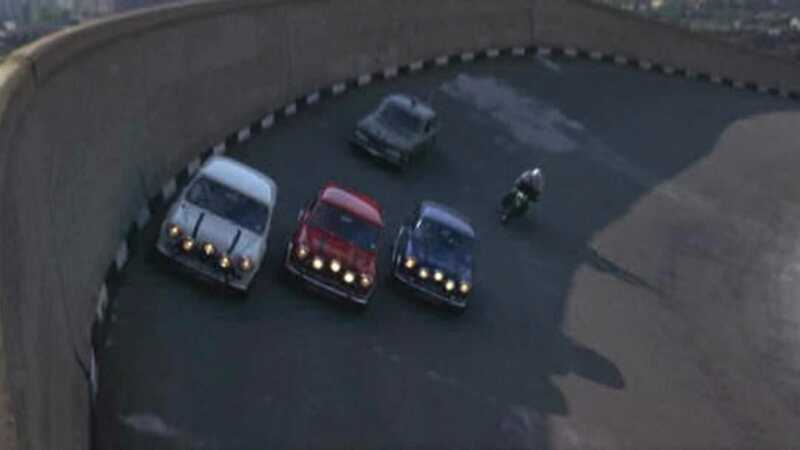 While in Turin, Tour participants will spend a few days in the company of The Italian Job producer Michael Deeley, legendary stunt director Rémy Julienne, actor David Salamone, and subject-expert Matthew Field, whose new book, The Self Preservation Society – 50 years of The Italian Job, will be published later in 2019. 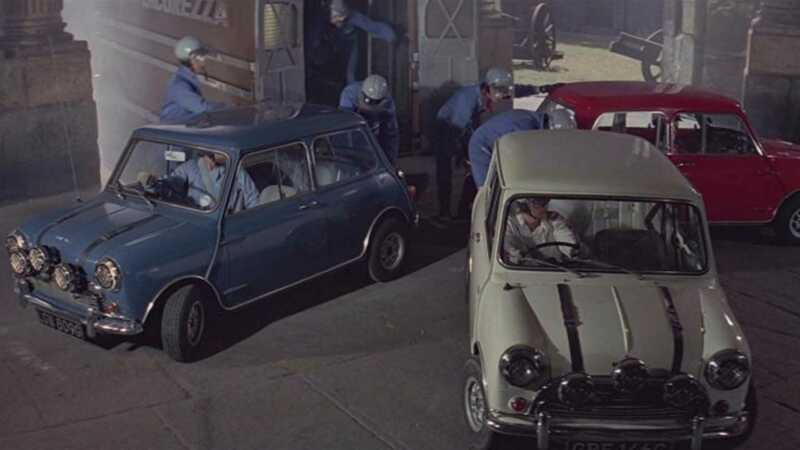 It couldn’t be an Italian Job-themed weekend without showing the film, which will be screened privately for the group upon reaching Turin. A walking tour of the city will then take in car-chase locations and visit the Baroque staircase of the Palazzo Madama, the crowded porticoes on Via Roma, the cathedral steps and the weir on the River Po. The price? Well, that’s €5495 per person in double occupancy or €6575 per person in single occupancy. Accommodation has been carefully selected, with lashings of four- and five-star hotels in France and Italy. Three lunches and 10 dinners are included. A comprehensive Road Book with Tulip notes, maps, rally plates, information about places being visited is also included, alongside recommendations of other places worth seeing and guided visits to the Domaine Pommery champagne cellars, Arc-et-Senans Royal Saltworks, Museo Nazionale dell Automobile in Turin, Mont Blanc Skyway, and Matisse Museum in Le Cateau-Cambrésis. Tour participants will be accompanied by the event organisers, including E-type Club co-founders Philip and Julie Porter, a film crew and professional photographer, and a mechanic. And all that without 'blowing the bloody doors off'. Get your Matt Monroe playlist prepared! You can view the full schedule and book a place here.